Modern, easy to use on-site facilities. Available in various sizes and specifications. All EasyCabin units have energy saving features built in, and are easy to hook-up to site utilities. 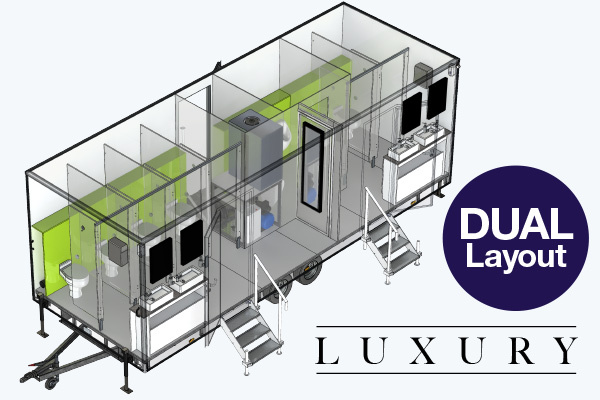 Available as static or mobile units. 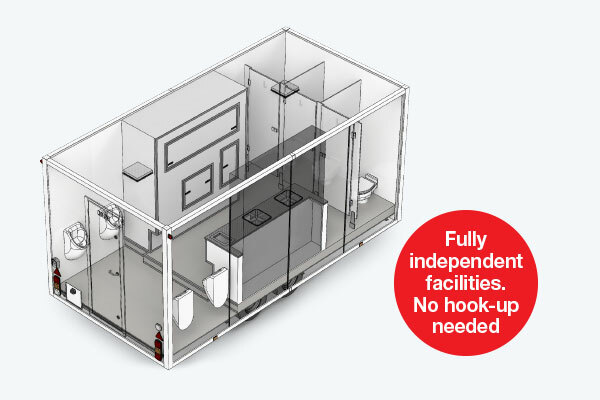 The EasyCabin range of toilets come with a choice of operational systems, LED lighting, waterless, recirculation, mains drainage or the latest vacuum technology. Our Shower and Bathroom Units have high output, energy efficient gas boilers. 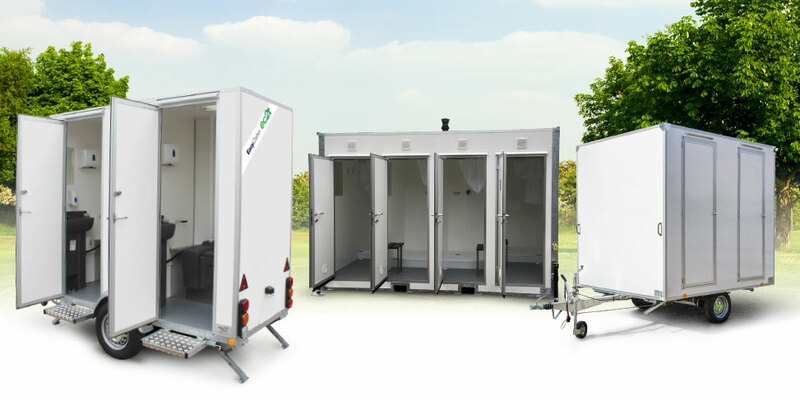 The Ecosmart 3+4 is a fully independent toilet unit, designed for remote locations where power, drainage and water supplies are not available. Bespoke layouts and configurations are available on request. We are able to manufacture all year round, order new units direct from our factory. We can also design & create units to suit your needs. 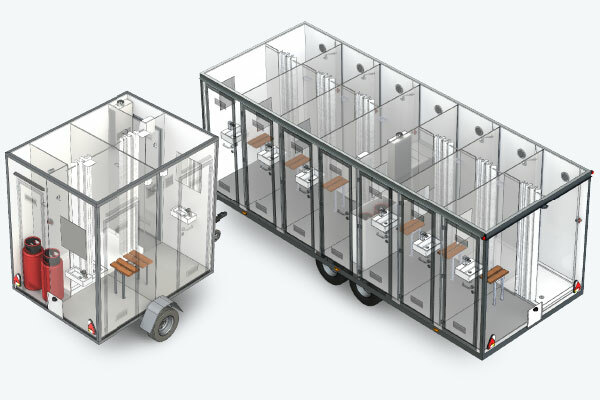 All EasyCabin units are easy to clean, quick to setup and built to stand the demands of the hire market. Our units are fully HSE compliant and simply towed to site, connected, then made ready to use in the matter of moments. A comprehensive range of toilet units. Economical, plug & play and easy to use. 1+1, 2+2 & 3+1 layouts available with a variety of options. Economical play & play urinal units. Available mobile or static. Various sizes available upto 16 individual urinals. Shower units. Economical play & play. Available mobile or static. 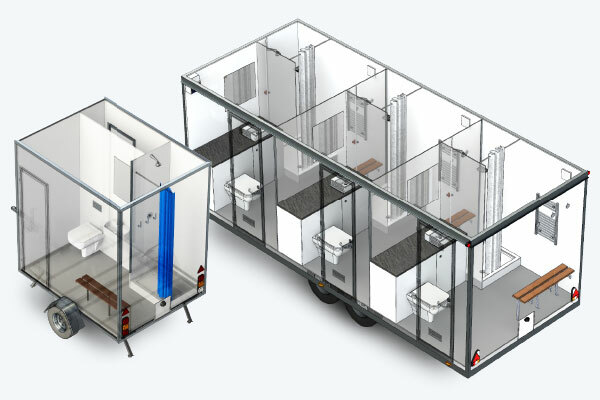 Various sizes available upto 6 individual shower cubicles. Toilet / sink and shower. Economical play & play units. Available mobile or static. Various sizes available upto 3 individual bathrooms. 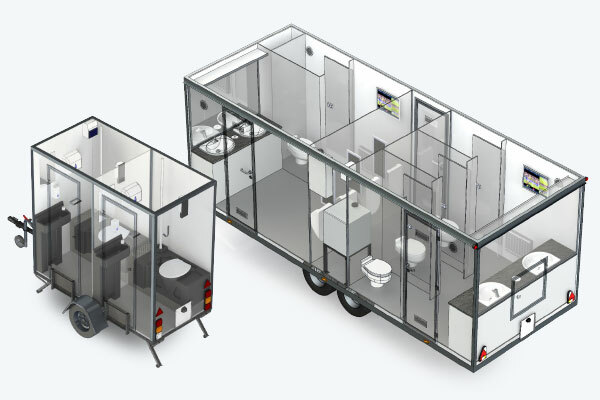 Fully independent, self contained toilet facility with three ceramic toilets and four waterless urinals. Full automatic start-stop technology. Perfect for remote locations. 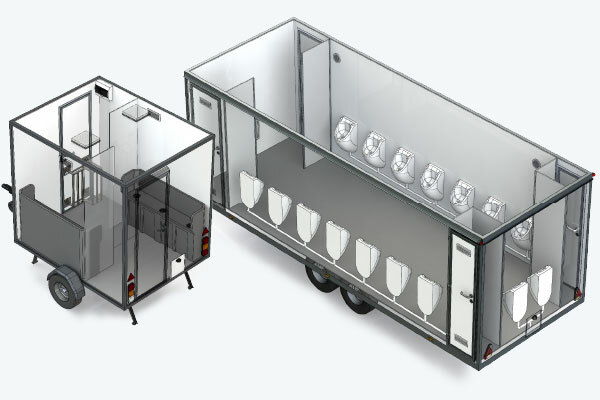 Designed for events, the 4+2 Luxury Toilet has a high spec interior finish and can be used as M/F or a 6 cubicle unit.